Within the Honolulu Board of Realtors, there are roughly 5,500 licensed real estate agents, with about half currently practicing. On the entire island of O‘ahu, there are only about 4,000 new listings on the market annually. That’s less than two transactions available per active agent, and with veterans occupying a good chunk of that 4,000, that leaves a very small window for me. So I asked myself, “how am I going to get through that tight window and make an impression on the industry?” My answer: BLOW RIGHT THROUGH IT! 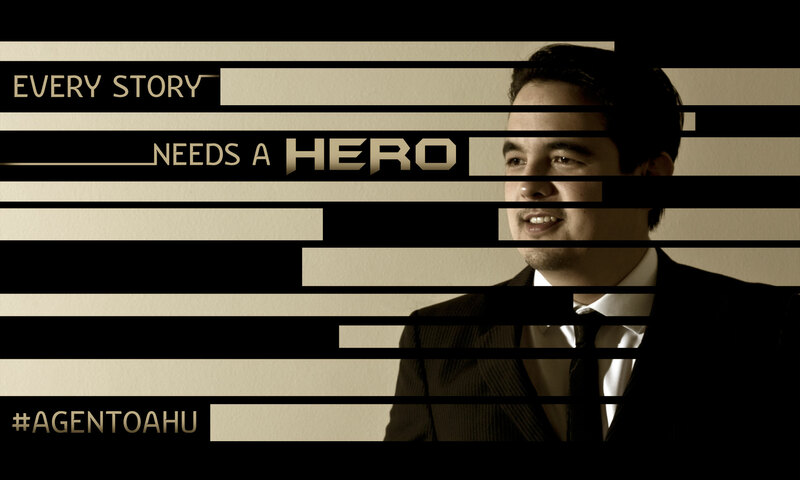 Presenting “Agent O‘ahu,” my not-so-secret superhero alter-ego! On the boring technical side, it’s a way for me to differentiate myself and hopefully be more memorable. On the exciting fantasy side, I get to be a home-finding, quick-selling, half-man-half-machine, wonder-kid, who powers through transactions during the day, and woos the ladies at night! I’m a huge dork, I know, but I’m really excited for this because it not only separates me from the crowd, but gives me something fun I can hang my hat on. So, get ready to see a lot of #AgentOahu! Because no matter how big, or how small, every transaction is is a perfect job for AGENT O‘AHU! Check out my new website: http://www.agentoahu.com or follow me on Twitter/Instagram @AgentOahu!